In isolation this may not seem an impressive result. 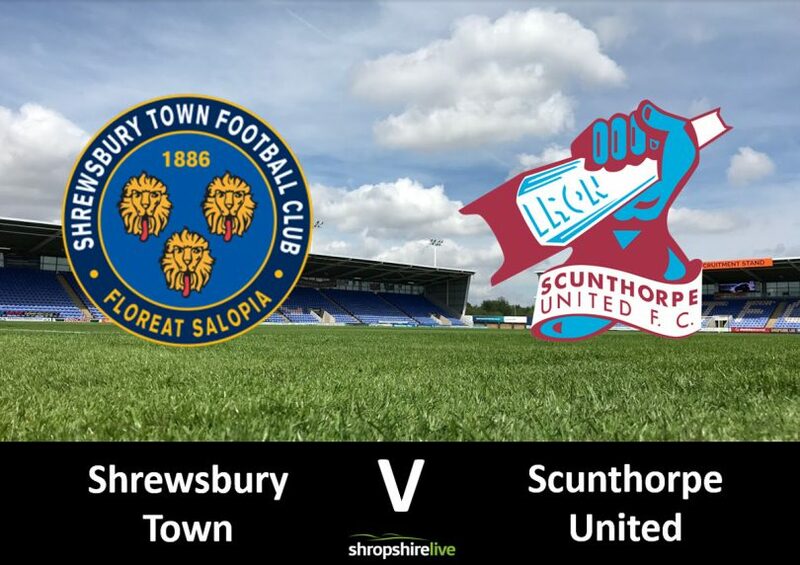 Many predicted consecutive wins for Shrewsbury as they faced a beleaguered Scunthorpe side that suffered a poor defeat against AFC Wimbledon last time out. But after falling behind to a first-half header from Kyle Wotton, Shrewsbury must have been fearing a significant loss. However, they were bailed out by ex Wolves and Liverpool winger Adam Hamill, who turned the ball into his own net. Sam Ricketts named the same side that beat Southend United 2-0 last week. Ollie Norburn overcame an Achilles injury to slot into the midfield. Town began the game in the ascendancy. Shaun Whalley threaded a precise path into the path of Greg Docherty – the Scot saw his low shot blocked by former Newcastle United keeper Jak Alnwick. At the other end, Tony McMahon’s whipped free-kick evaded Byron Webster and Lee Novak with Jonathan Mitchell snuffing out the danger. The next potent attack resulted in the deadlock being broken. Another inch perfect Tony McMahon delivery was contested by Kyle Wotton and Luke Waterfall – it appeared that Wotton got the final touch to give Andy Dawson’s side the advantage. Shrewsbury responded well to falling behind. Omar Beckles’ effort was blocked by McMahon, and Funso Ojo arrived on the scene to divert the ball to safety. Then, Shaun Whalley’s enterprising play down the flank resulted in a driven cross; Luke Waterfall was agonisingly close to applying the required finish. Town maintained their positive intent. Omar Beckles rose above his marker to direct a header towards goal, but former QPR man James Perch prevented a leveller with a vital interception. The opening period to the second half was a cagey affair, with Shaun Whalley’s ambitious long range shot the only talking point. Scunthorpe sat back and attempted to play on the counter – and the tactic almost worked in the 58th minute. Tom Pearce reached the byline and lofted a cross for Kyle Wotton to attack. The striker saw his header narrowly miss the target. Shrewsbury were left frustrated after failing to convert a catalogue of chances. Fejiri Okenabirhie and Shaun Whalley saw their attempts fly wide. Aaron Amadi-Holloway really should have done better, but Jak Alnwick clutched his header into his midriff. The Iron definitely didn’t deserve to head back to Yorkshire with all the points, but they had an excellent chance to stun the hosts. Lee Novak guided a free-kick goalward, and Jonathan Mitchell acrobatically tipped the ball over the bar. It seemed that Shrewsbury were heading for defeat when Tyrese Campbell flashed a volley wide, but with six minutes remaining it was 1-1. Adam Hammill was the unfortunate party, as the ball ricocheted off of him into the back of the net. It was enough to give Town a share of the spoils and see them rise to 14th. Scunthorpe remain in 18th. Shrewsbury face a trip to Kent to face Gillingham next week, Scunthorpe welcome Burton Albion.